I'm blessed to have many a talented cuzzin-from-my-huzban', one of which is the face, hands, and eyes behind the beautiful bouquet-delivery & flower-arrangement brand Amapola. 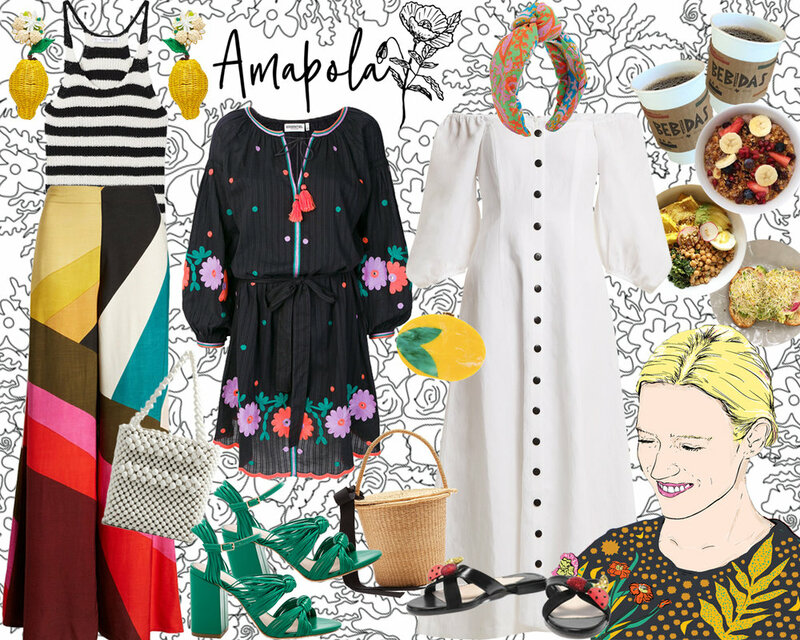 Amapola is San Antonio-based, but will soon be offering seasonal flower delivery to all major Texas cities. The bouquets are romantic and whimsical - the perfect centerpieces for your summatime dinner parties and festive fandangos. This Saturday, Amapola is stopping in Houston (deets below!) 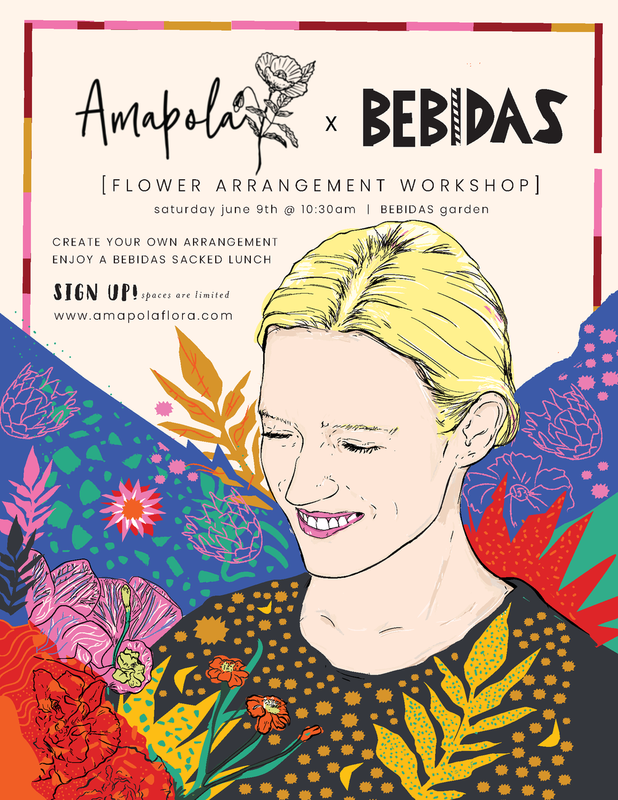 to host a flower arrangement workshop at Bebidas, mi favorito juice & coffee bar (was I there this morning? maybe... if maybe means yes). Come create your own arrangement while sippin' on a smoothie - or just come sneak a peek from afar. The vibes, flora, and food will be on point - as will be the girl who will surely be covered in pollen and hopped up on too much caffeine (me).